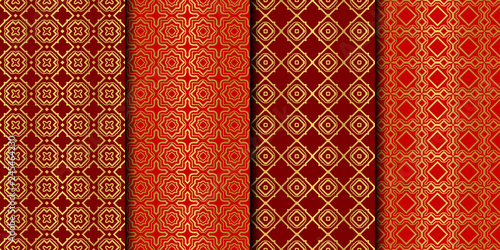 Set of Seamless Pattern With Abstract Geometric Style. Repeating Sample Figure And Line. Vector illustration. red gold color.